Almost a year after Barclays Africa announced a decision by (parent) Barclays PLC to exit Africa, they released their Barclays 2016 results (PDF). While the world is now a different one after BREXIT and President Donald Trump, the exit plans are still on course. They have agreed with Barclays PLC on terms of the “separation payments and transitional services – Barclays PLC will contribute £765m, comprising of £515m in recognition of the investment required in technology, rebranding and other separation projects, £55 million to cover separation related expenses, £195 million to terminate the existing service level agreement relating to the rest of Africa operations”. Barclays PLC will contribute an amount equivalent to 1.5% of Barclays Africa market capitalization towards a black economic empowerment (BEEP) scheme and Barclays plans to create an equity plan for employees in the next 12 to 18 months. 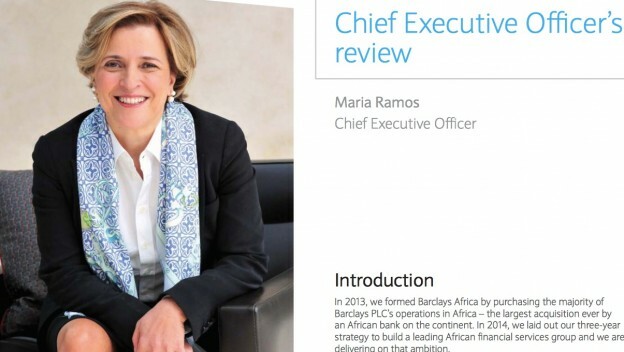 They will continue to use the ‘Barclays’ brand in the rest of Africa for three years from the date on which Barclays PLC reduces its shareholding in BAGL to below 50%. During 2016, Barclays PLC reduced its shareholding from 62.3% to 50.1%. Other shareholders include Public Investment Corporation (SA) 6.86%, Old Mutual Asset Managers 3.31%, Allan Gray Investment Council 2.16%, Prudential Portfolio Managers 2.01%, Schroders Plc 1.93%, BlackRock 1.69%, Vanguard Group 1.66%, Dimensional Fund Advisors 1.65%, and Sanlam Investment Management (SA) 1.62%. Barclays Africa Group Limited today announced that following the completion of South Africa’s largest bookbuild in South African Rands, Barclays PLC has sold 33.7% of Barclays Africa’s issued share capital at a price of R132 per share. This results in accounting deconsolidation of Barclays Africa from Barclays PLC. Barclays PLC sold 285,691,979 Barclays Africa ordinary shares at a price of R132 per share, which results in Barclays PLC reducing its shareholding to 23.4%, with a further 7% to be taken up by the Public Investment Corporation at a later date, following receipt of the necessary regulatory approvals. The significance of this sell-down is that Barclays PLC is no longer the controlling shareholder of Barclays Africa, which now has a diverse shareholder portfolio made up of very supportive, long-term, institutional and individual investors. Ownership of Barclays and Absa operations in Africa does not change as a result of the reduction in shareholding. The 11 banks that form part of Barclays Africa will continue to be led and operated by people with deep local knowledge and a diversity of skills and experience. £1 is $1.25, £1 = KES 128.5, and £1 = 16.1 ZAR. This entry was posted in ABSA, Barclays, Basel II, Investing in Kenya, South Africa and tagged Barclays on February 25, 2017 by bankelele.